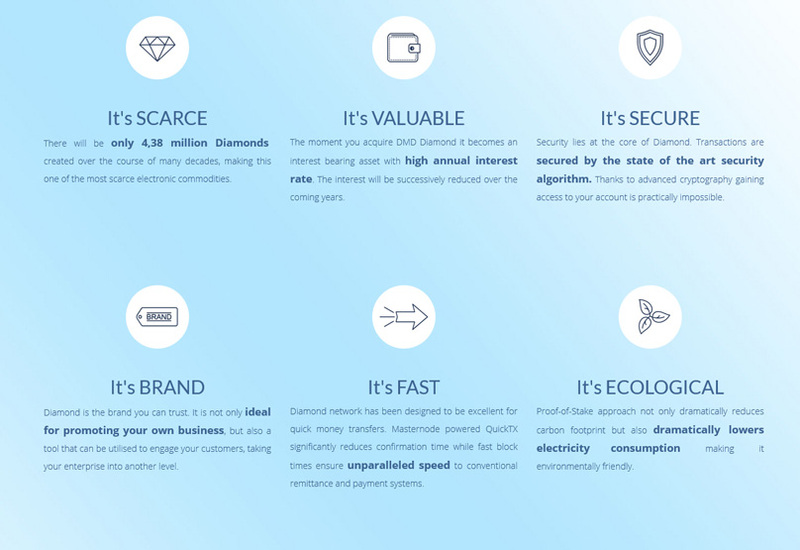 DMD, or Diamond, is ultra-scarce, ultra-valuable, and ultra-secure, making it a smart investment for those who want an alternative to other cryptocurrencies that are widely available. This system uses Masternode technology and a superior security algorithm, along with a rare digital currency and rewarding monetary system. 2 What Is the Goal of DMD? 3 How Old Is DMD? 6 What Is the DMD Cloud Option? 7 What Is the DMD Multipool? 8 Is the Inflation Decreasing, and What Is DMD’s Price Growth? 9 Is DMD on Exchanges? One of the first things people encounter after entering the world of cryptocurrencies is mining. Most of us who are now in crypto for years have tried some form of proof-of-work mining, either by using ASIC, mining rigs, or even USB miners, which were very popular some time ago. The main reason behind mining is very clear: to acquire more coins and to generate more profits. However, classic PoW mining has several negative externalities. First, it requires expensive and often scarce equipment. Second, it increases your electricity bill. Third, it generates a lot of heat and noise. As a result, not everyone can run successful mining operations in the long term. Fortunately, there is another way to “mine” crypto and make money without facing the negative effects of PoW mining. PoS, or proof-of-stake, is one of the most obvious and popular alternatives, and the DMD Diamond coin is one of the oldest and most reputable PoS coins in the crypto market. What Is the Goal of DMD? DMD Diamond hopes to empower users to achieve their financial freedom. Every DMD Diamond coin will become an asset that earns interest at a high annual rate. It works in the modern age and helps store value in a way that is supported by network services, infrastructure, and protocols. DMD Diamond is not only valuable but also incredibly secure, fast, and even ecological. 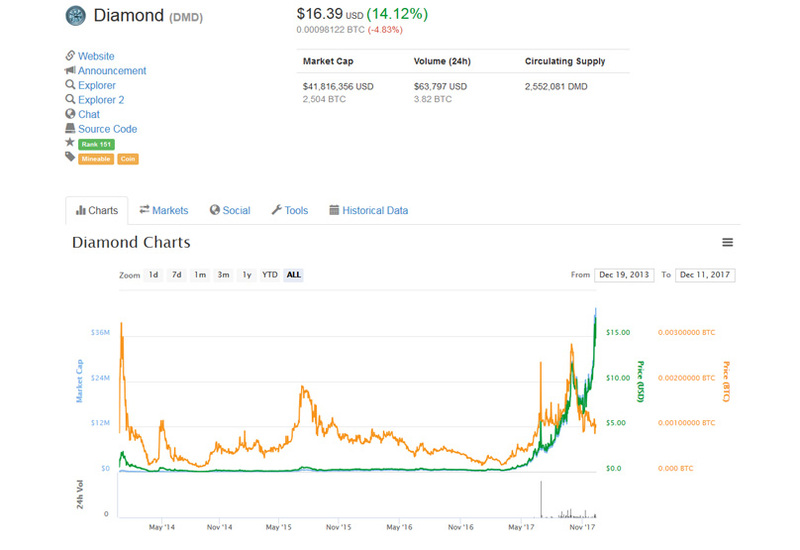 While most cryptocurrencies are relatively new, making them risky, DMD Diamond has a long history. It has already experienced continuous development for nearly five years, making it among the oldest proof-of-stake coins. During this time, it has not had any major crisis or scam, inspiring confidence. Over those five years, DMD Diamond has experienced continuous development from a highly reputable team. The community itself is also constantly growing, and every single aspect of the project is transparent. 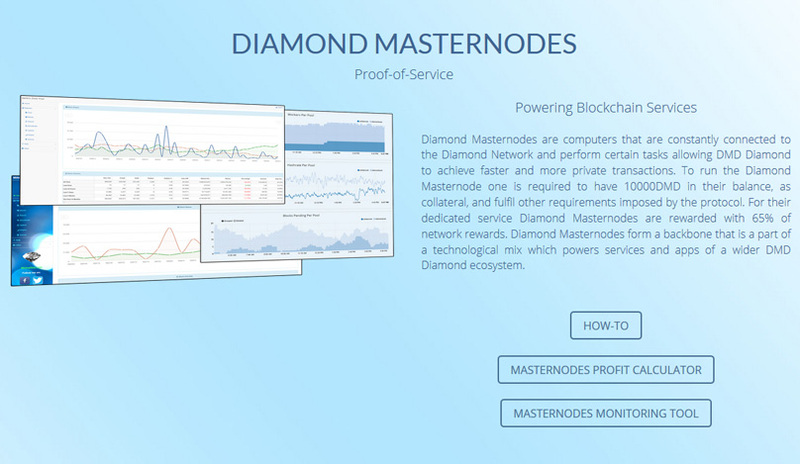 A unique aspect of Diamond that helps set it apart from other options is that it has options for both Masternodes and PoS. PoS is comparable to mining but doesn’t require any expensive investment on your part in terms of graphics cards, hardware, or ASIC. Instead, you just buy the coins and put them in your wallet. Make sure your wallet is open for staking, then the coins will stake, generating new coins. Within just a single hour, the coins will mature, becoming engaged in the PoS process. Best of all, any coins in your wallet will earn interest, generating new coins in an ever-expanding cycle that brings you wealth. For the best results with proof-of-stake, you should have at least 250 DMD in a single DMD pile and keep your machine online 24/7. 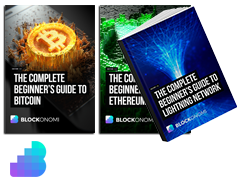 This lets the wallet run all the time, earning you money constantly. Basically, as a way to reward you for supporting the Diamond Network and leaving your Diamond Wallet connected with the network, you periodically get new coins. This is extremely profitable, and you can expect 20 to 25 percent annual return on your investment at the moment, with optimal participating. The other option, the DMD Masternode system, is also very profitable, earning returns of over 25% percent each year at the moment ( you can use the online calculator here to see how much you can make). This depends on the number of active masternodes as well as the actual reward per block. This investment option arrived in 2017 and only requires a static IP and 10k DMD. DMD Masternode system generates constant passive income and it is perfect for people who like to set their system for long term earning. Once set up, DMD Masternode can generate income for years providing it is kept online. If you want, you can even combine DMD income from Masternodes with that of staking. Set up the Masternode so the DMD you receive from it go to your staking wallet; this way, the DMD income from the Masternode will keep growing via staking and this what most of smart DMD holders do. What Is the DMD Cloud Option? DMD also offers cloud mining in a way that is different from other crypto cloud mining, as you get a regular and hassle-free stream of DMD Diamond coins. The system is actually set up so you get increased DMD Diamond payouts until you reach your ROI (5x until you ROI). Once you hit the return on your contribution, you get the payouts at the standard 1x rate, thanks to a system designed to ensure that every contributor makes back their money as quickly as possible. 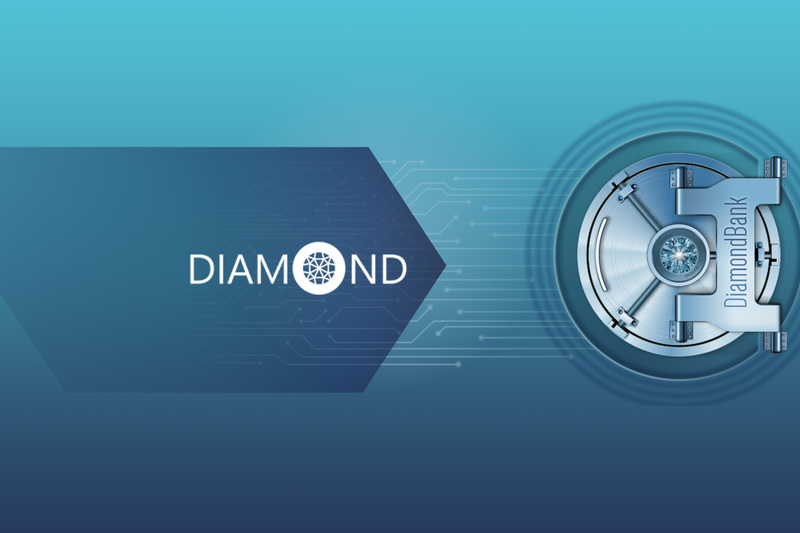 Even so, it is a longterm project designed to support DMD Diamond by creating additional demand for coins and you should not expect to “get rich quick” with DMD. However, you will see quite satisfactory benefits in the long run. As you contribute to the DMD cloud, you will get a regular payout in your DMD wallet. Again, these coins can stake additional profits for you as well. What Is the DMD Multipool? For those who like traditional mining options, DMD offers even better alternatives. You can’t mine DMD with your GPUs or rigs anymore; instead, you can use the DMD Multipool. 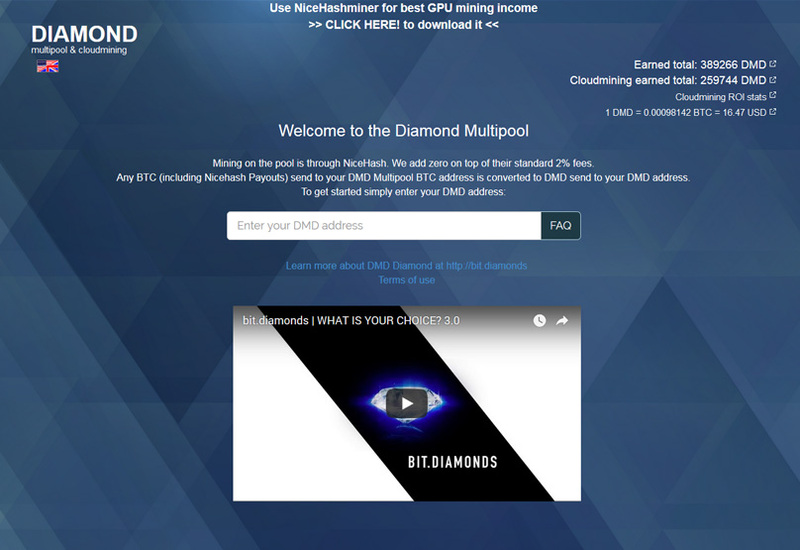 Use a Nicehash miner for mining any selected currency, then connect it with a DMD Diamond pool and receive DMD Diamonds. At any given moment, Nicehash miner will mine the coins that are the most profitable, then exchange them for BTC. With the DMD Multipool, you are able to exchange those BTC for DMD and send them right to your wallet. As with DMD income from Masternodes, you can send the income to your staking wallet and receive additional income. To make it even more appealing, the tool is completely automated, so you can “mine” DMD using your graphics cards without putting in an active effort. It also lets you earn coins from both PoW and PoS simultaneously, improving your DMD income. Is the Inflation Decreasing, and What Is DMD’s Price Growth? To begin your investment in DMD, in addition to some of the above methods, you can visit one of exchanges where it is listed, Bittrex or Livecoin are currently recommended. DMD Diamond daily trading liquidty is more then sufficient to buy or sell your coins. As DMD Diamond price keeps increasing, so does its trading liquidity. Between its long-standing history and excellent price growth, DMD Diamond can be a very profitable investment. Investors should just remember that this is considered a long-term investment, as opposed to something that will get you rich instantly. With minimal patience and wait, those who invest should notice a profit.